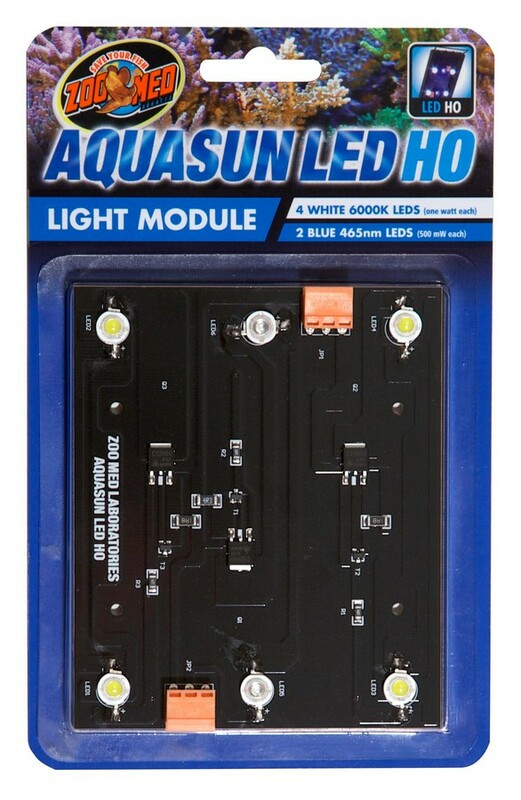 AquaSun® LED HO – Light Module | Zoo Med Laboratories, Inc. Provides bright white light for viewing & shimmer effect, and blue light for coral growth & moonlight effect. Includes four white 6000K LEDs (one watt each), and two blue 465nm LEDs (500 milliwatts each).